In order to provision content-based services to their users, service providers need to purchase content distribution rights from various content providers. Sometimes the creation phase of certain content categories can last longer than planed so content providers deliver the content to service providers with delays. The delayed delivery can cause financial damages and inconveniences to service providers which have already announced the appearance of new content to their users. 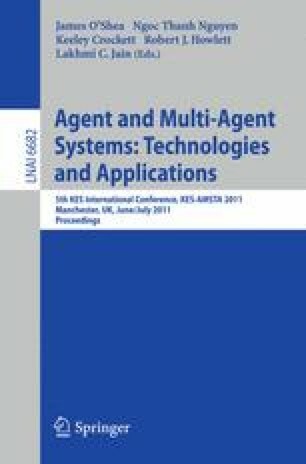 In this paper we propose a multi-agent system which is used to model an electronic market for trading the rights to distribute video and computer games. On the proposed market, a service provider agent uses the multi-attribute reputation decision making mechanism to purchase content distribution rights from content provider agents. Several sets of experiments were conducted to demonstrate the efficiency of the multi-attribute reputation decision making mechanism.